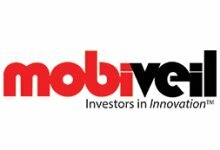 Moortec Semiconductor, specialists in Process, Voltage and Temperature (PVT) sensors announce the availability of their Embedded Process Monitor on TSMC’s 16nm FinFET+ process. IC Industry M&A: Who's Left to Buy? Intel Corp. officially announced Kaby Lake, its seventh-generation Core PC processors made in a 14nm+ process and focused on delivering better 4K video. Attopsemi announced today that its customer Eminent Electronic Technology, a leading fabless sensor IC company successfully embedded I-Fuse™’s OTP IP at UMC’s 0.35um mixed-signal process in proximity sensor products, and had shipped more than 10 millions of these chips for name-brand smartphones. 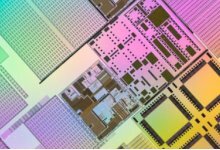 Sidense today announced that it has demonstrated successful operation of its patented SHF 1T-OTP memory macros at TSMC’s 16FF+ and 16FFC process nodes. Intel’s chief executive pledged to support of the former Altera’s base business including use of ARM cores and long product lead times at the first event of the merged x86 and FPGA makers. In a Q&A session he also provided some insights on the company’s acceleration strategy in light of its recent acquisition of startup Nervana. Intel Custom Foundry has made a statement of intent that it is serious about competing with the likes of TSMC, Samsung and Globalfoundries by agreeing a full support package for ARM intellectual property on the upcoming 10nm FinFET manufacturing process. Intel revealed its 10nm process could outperform other foundries and will be used to make ARM-based mobile chips for companies including LG Electronics. To enable the move, Intel partnered with ARM’s Artisan division that is porting a reference design for one of its 64-bit cores to the process. 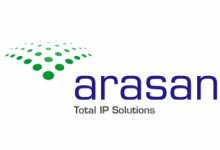 Arasan Chip Systems a leading provider of semiconductor IP for mobile and automobile SoCs today announced the availability of its MIPI DPHY IP Core for TSMC’s latest TSMC 40uLP process supporting 0.9v & 1.1v. 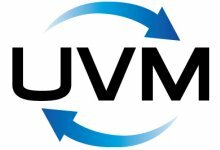 CEVA today announced that Rockchip, China's leading fabless semiconductor company, has licensed the CEVA-XM4 imaging and vision DSP to enhance the imaging and computer vision capabilities of its System-on-Chip (SoC) product lines targeting smartphones, ADAS, drones, robotics and other smart camera devices. 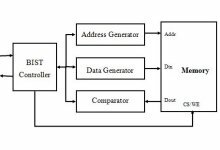 Artosyn Microelectronics, a leading supplier of Drone system on chip (SoC) in China, today announced that they have licensed Chips&Media’s Lossy&Lossless compression IP core, CFrame50 for their next-generation drone SoCs. Artosyn is well known as the world’s leading drone SoC company. This is the second purchase following the previous license of WAVE420 HEVC codec IP in last December. Systems, a company that specializes in developing IPs in the Memory and Networking area today announced the immediate availability of an optimized DDR3/4 DRAM Controller Core, which gives users the flexibility to choose DRAM memories that fits best into their needs. Faraday Technology Corporation and UMC today announced the availability of Faraday's 12.5Gbps programmable SerDes PHY IP on UMC's 28HPCU process technology. Cadence Design Systems, Inc. (NASDAQ: CDNS) today announced that they have delivered the industry’s first Design and Verification IP for MIPI SoundWire v1.1 and demonstrated interoperability of MIPI SoundWire solutions in collaboration with Realtek. 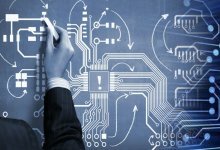 PLDA GROUP announces tighter collaboration with Xilinx on Vivado HLS to enhance software programmability of Xilinx FPGAs in QuickPlay. ARM is expanding its Internet of Things (IoT) engineering team at the Kfar Netter design center in Israel one year on from its opening when ARM acquired Sansa Security.